How do I set up a new RefWorks account? What if I already have a legacy RefWorks account? When RefWorks opens, it will show you a tip in a blue window. You may do as the tip suggests, or close the window by clicking on the X in the upper right corner of the window. How do I import citations from my old reference manager? How do I save full-text documents or citations to RefWorks? I write in Word / Google Docs - Can RefWorks help me cite or create a bibliography? 1. How do I import citations from my old reference manager? With a single click you can import your references directly from Mendeley and other versions of RefWorks. In Zotero, EndNote, and other reference managers, just create an RIS file, save it to your desktop, and then upload it to RefWorks. Your references, file attachments, folders, and custom output styles will automatically be moved into your new RefWorks account. Shared folders will need to be re-shared in the new RefWorks. 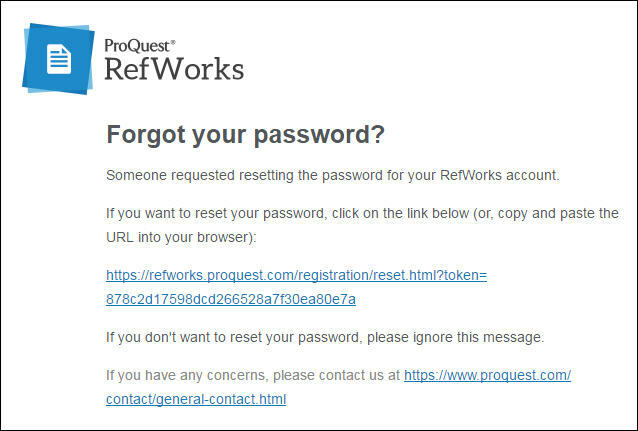 After you enter your email address on the RefWorks sign in page, you will be brought to the page where you would enter your password. Click on the link: Forgot your password?